The opportunity to embrace an inner-city life in the vibrant West End has arrived! Boasting 2 bedrooms, 2 bathrooms and perched on the 4th floor of the contemporary Light & Co apartment complex, look forward to soaking up the city views on your large balcony, hosting family and friends in your open plan lounge and dining room, and take advantage of the gourmet, galley style kitchen, with its acclaimed appliances and gas cooking. You'll also appreciate the master suite with ensuite and walk-in-robe, built-in-robe to bedroom 2, an internal laundry, air-conditioning plus secure parking with additional cage storage. Only three years young, this secure complex will leave you feeling as if you are on a permanent holiday, delivering you access to a media room with big screen, and overlooking a lavish pool and BBQ area flanked by lush, landscaped gardens. Situated on a quiet street, you're just a short stroll to Brisbane River and West End markets, as well as central to a host of West End's restaurants and cafes. There's no shortage of public transport, with buses and the City Cat/Ferry close by. Families will also appreciate being within the Brisbane State High Catchment, West End State school catchment and central to elite private schools, UQ, QUT, Griffith, Southbank TAFE and private city colleges. 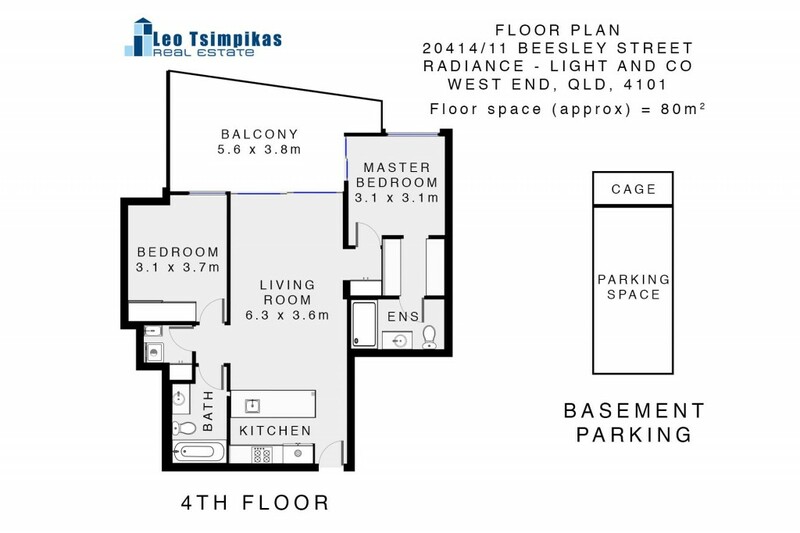 Perfectly positioned within easy reach of every amenity you could require, this could either prove to be a prominent addition to your investment portfolio (renting at $560pw) or ideal for those seeking an inner-city life in modern surrounds. Act now to avoid disappointment!